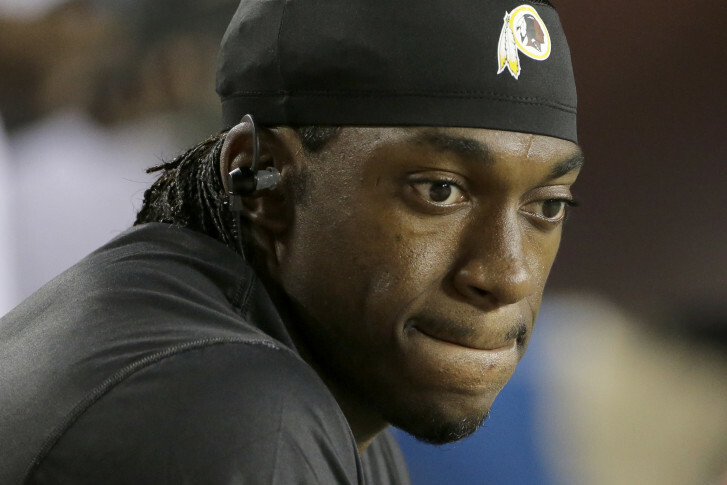 WASHINGTON — The hits just keep on coming for Robert Griffin III, even when he’s not on the field. Despite his NFL struggles, RGIII was probably one of the best players Baylor University has seen, and the school erected a statue in his honor. Allegedly, some fans from rival TCU may have gotten a hold of paint on Thursday … While it hasn’t been confirmed exactly who gave the statue a new paint job, the result wasn’t pretty. This can’t feel good for Griffin, who lost the starting QB job to Kirk Cousins in August. TCU and Baylor play each other Nov. 27.